I recently discovered Outdure while admiring the decking they had designed and supplied for the beautiful Coast New Zealand showroom. 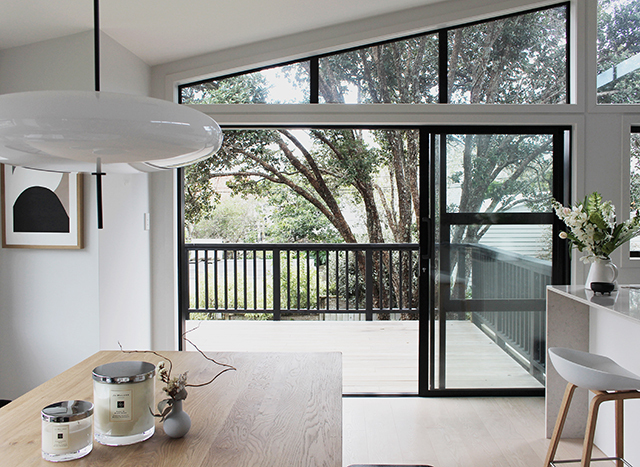 With offices in NZ, Australia and further afield, the NZ-born company is changing the way exterior spaces are designed and built both here and around the world with their revolutionary QwickBuild system. 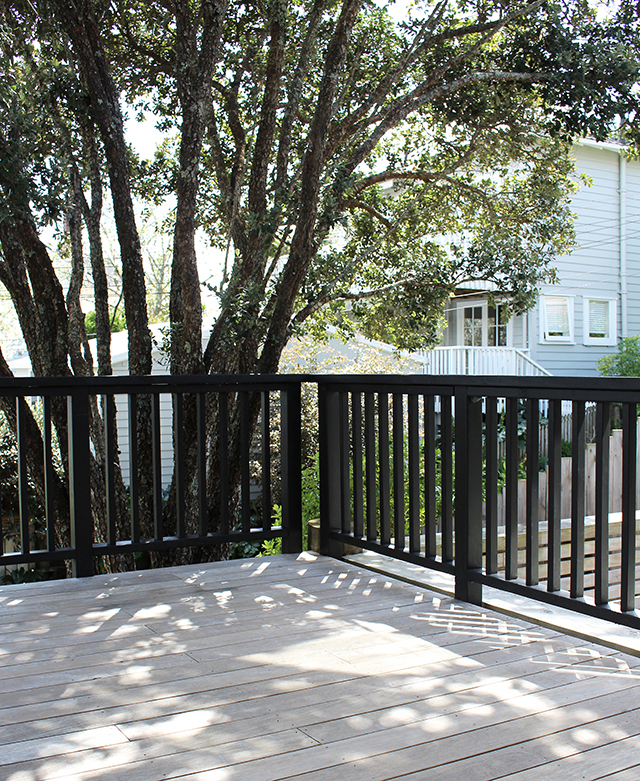 Working across large commercial projects and resorts through to small residential properties like ours, I was excited to find out what Outdure could do to update our deck and make it more liveable. 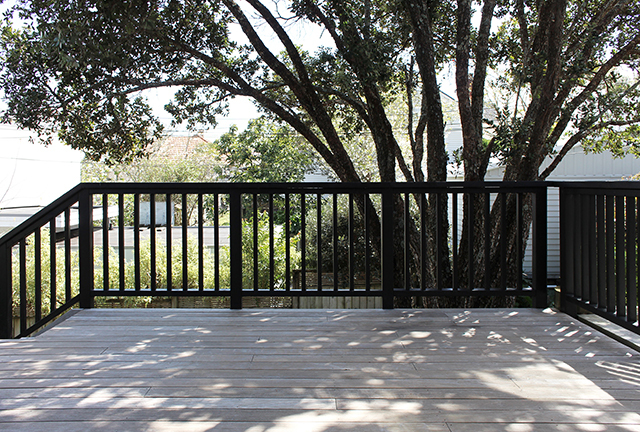 Other than paint the railing, we have done very little to our deck since building our home. In fact the focus has been almost entirely on the interior, and with summer fast approaching, it's great to finally be making some plans. Deciding early on we'd like to incorporate some seating, we have had various pieces of furniture come and go over the years, but nothing has really worked for the area. Because the deck is quite compact, my husband and I have always loved the idea of a custom-made seating solution that would be streamlined with the edge of the deck. We feel this would give a sense of permanence while also creating better use of the small space. First we arranged for the Outdure team to visit our home to look at our area and talk through the options. I was really interested to learn about Outdure's Qwickbuild system. 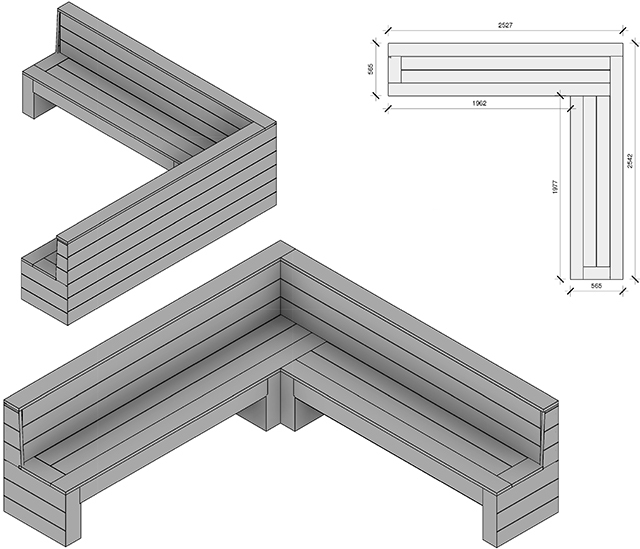 A modular framing system for decking, tiles and turf, it has been designed as a specialist decking solution for low height installations (e.g. over waterproof membranes on rooftop decks) and is also ideal for installation over natural ground, concrete slabs and existing tiles or pavers. Made-to-measure by Outdure, QwickBuild aluminium frames replace bulky traditional timber frames with lightweight, durable aluminium modules and because they are prefabricated, this greatly reduces costly time on-site. With the sample below, we were shown how the QwickBuild system works, with hidden interlocking fastenings. 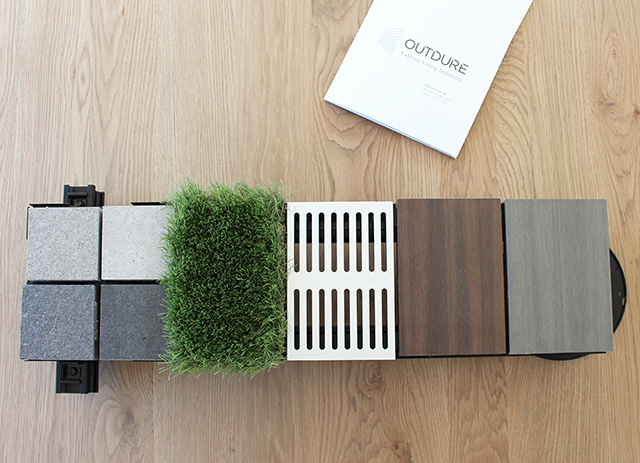 These support Outdure's contemporary range of surfaces, including the premium ResortDeck series, plus in-house ranges of structural tiles and high-grade turf. Also compatible as a highly stable and low-profile framework for hardwood decking timbers, additional accessories include ventilation grilles, deck jacks, vertical privacy screens and lighting. The ResortDeck is an amazing product that combines the natural beauty and matte finish of a freshly oiled hardwood timber deck with the added benefits of being extremely durable, virtually colourfast, dimensionally stable and easy to maintain. How is this possible? Well, the board core is made from 95% recyclable materials including highly density polyethylene & wood fibres. It also features a co-extruded polymer shield that completely encapsulates the board in an impermeable layer of protection, making the boards impervious to moisture, while giving superior UV protection, and scratch, fade and mould resistance. 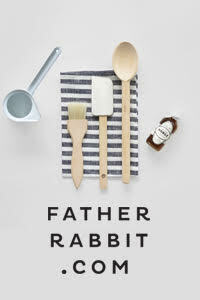 It also means no splinters or leeching, and no need for staining, oiling or painting. How's that for low-maintenance? If we were to build again, we would definitely use this for our deck. We even contemplated replacing our deck with the ResortDeck for a cohesive look, but decided to stick with our existing deck (as it's still pretty new), and focus on the seating. 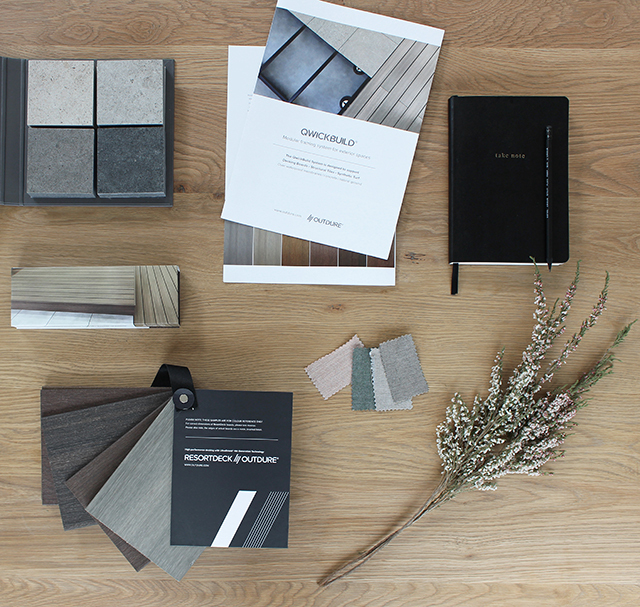 Because ResortDeck comes in six natural colours and finishes, we were able to choose an option that would compliment our existing space. We decided on Sea Salt which works really nicely with our deck's weathered finish. These are a few of the inspirational images I've saved over the years on Pinterest (the image top right is an Outdure project), and a moodboard I created with some of Outdure ResortDeck and Tile samples. Looking through the Outdure gallery, this process also got us thinking about our neglected backyard. We've come away with some great ideas for this area too! Now getting back to our deck... after talking through our seating ideas, Outdure provided imagery from some of their previous seating projects for us to consider. Deciding on a design, they then measured up the deck and came back to us with an initial concept drawing. From here we made a couple of tweaks around the size. We also changed the back boards from vertical to horizontal with a slight slope for added comfort, and added space underneath the seating. Once the design was finalised, we were sent the construction plans to sign off, and then it was ready for the manufacturing process. The construction plans are really comprehensive, showing every little detail, so here's a less technical look at the finalised concept drawing. This week Outdure sent us a progress photo which is super exciting, and the next step is to arrange delivery! Look out for Part Two of this series when I'll reveal the new seating. 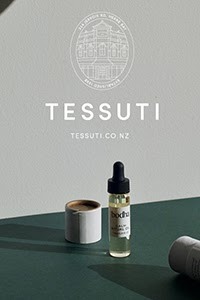 I'll then be sharing the second stage of our Deck Update in collaboration with Coast NZ, so keep following along. For more information on Outdure or to get in touch, visit outdure.com. This post was created in collaboration with Outdure. I only work with products I love and all opinions are my own. For more information please visit my About Page.